While we have been busy churning away at our Spirit Tracks content, other sites have been busy working out the ability to give us all a chance to win some free loot! Two of our local affiliates are responsible for this great deed. Zelda Universe is giving away a refurbished DS Lite, while the good folks of Hyrule.net are giving away 4 copies of Spirit Tracks starting on December 10th. For the former, entry consists of submitting your ideas towards future technology in Zelda, while you can enter the latter be answering a few simple questions in the site’s IRC channel. Check further info for ZU’s here, and Hyrule.net’s here. 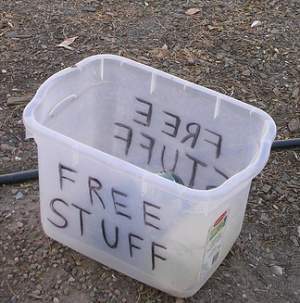 Hooray free stuff!